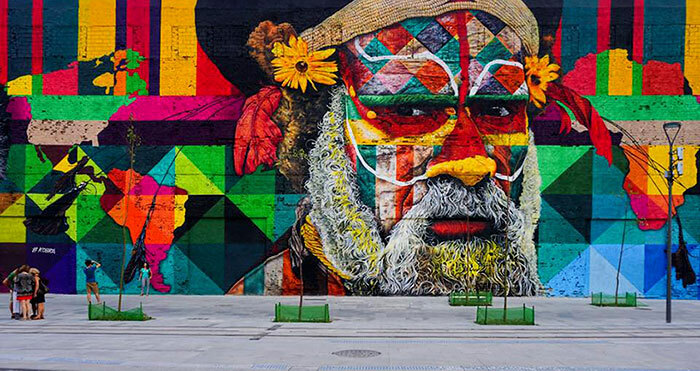 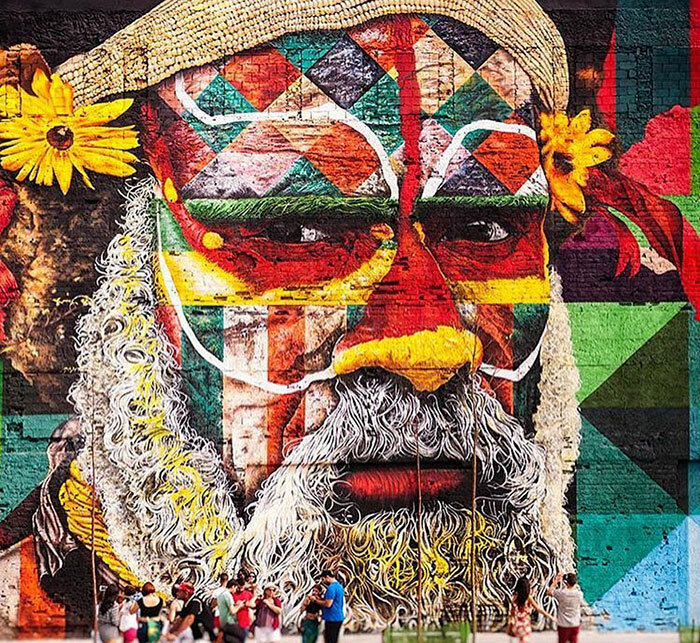 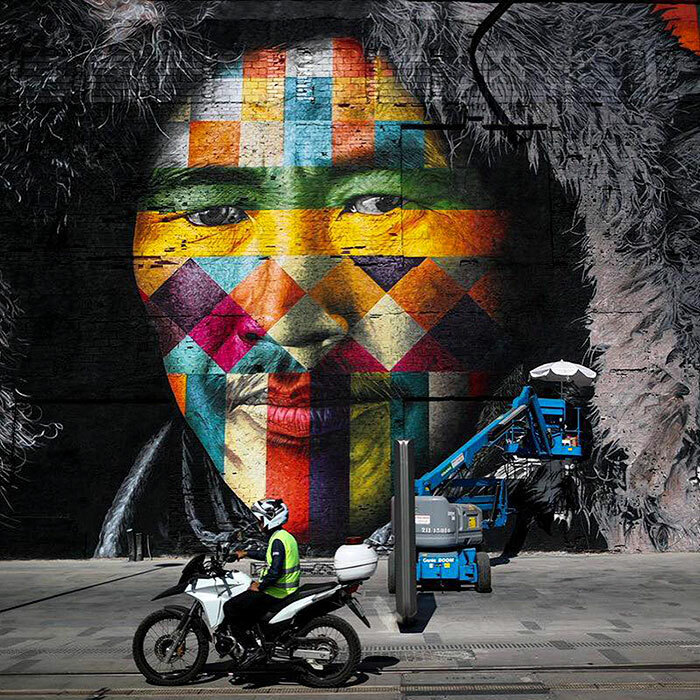 Street art isn’t an Olympic sport, but if it was then Eduardo Kobra would almost certainly win gold for his 30,000 square foot (2787 square metres) mural that he painted for this year’s Rio Olympics. 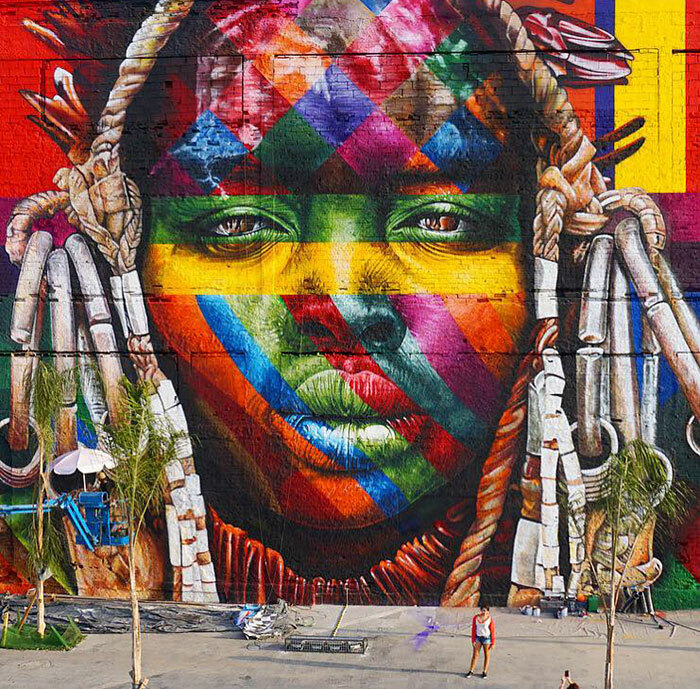 The mural, titled Las Etnias (The Ethnicities), stands a staggering 50 feet (15 metres) tall and can be found in Rio’s port district. 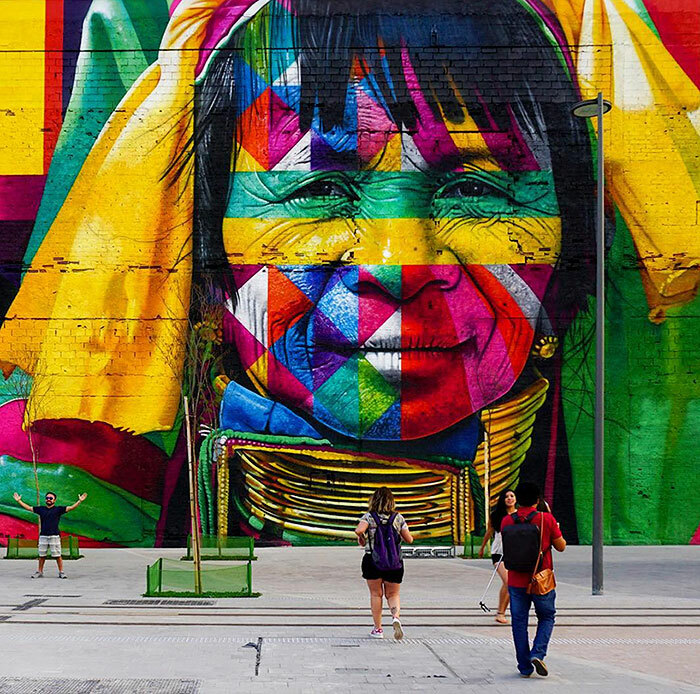 It features five faces from five different continents that represent both the five Olympic rings as well as the cultural diversity of the games. 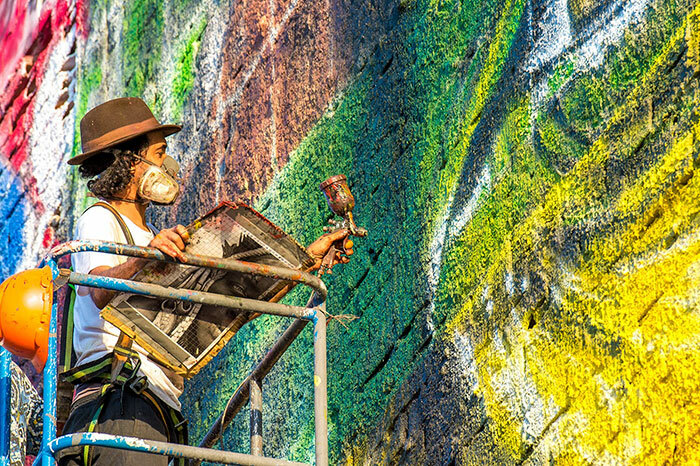 Kobra, 40, from Sao Paulo, worked on the piece for two months, and during that time he used 100 gallons of white paint, 400 gallons of colored paint and 3,500 cans of spray paint. 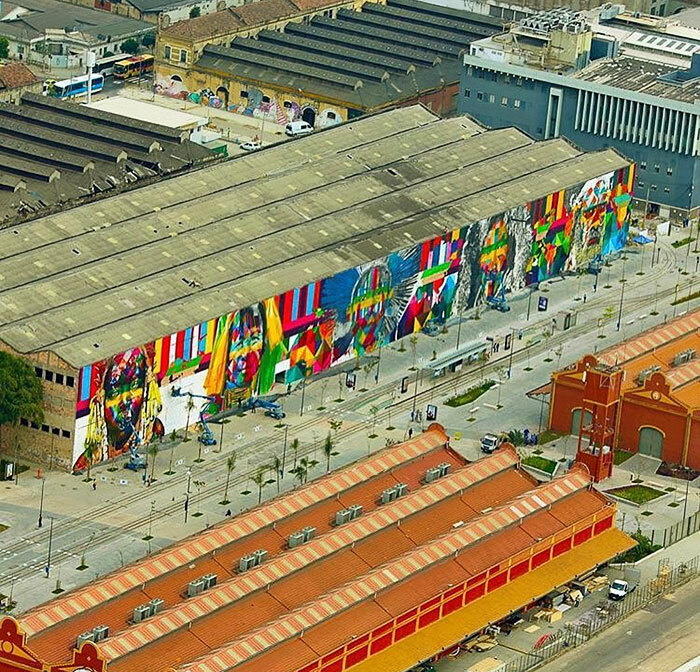 If confirmed by the Guinness Book of Records, Kobra’s mural will be the world’s largest mural completed by a single man.